Here we see some Filipinos trying to do their own version of the Folgers Coffee Jingle back in the 90s. There have been a lot of versions done for this jingle but I'd have to say this was actually good. It was funny to see them dancing with their cups (without any coffee). Great job on this Folgers Coffee video! 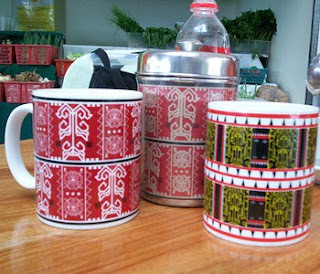 Here is a mug I saw while searching the internet for some Pinoy/ Filipino inspired/owned mugs. It's designed by the people from Phil. Mountain Coffee in Tiendesitas (Ortigas). I encourage everyone to visit their place to see more coffee related items. Just hang out there and taste Philippine Mountain Coffee. "This is a decision that fills the coffee industry with pride because it recognizes everyone that is in some way tied to coffee such as producers, industries, exporters, distributors and consumers"
With all the support that the local coffee industry here in the Philippines is getting, there should also be an official day for coffee or for the barako too. We should celebrate as we not only save the barako but also become known worldwide for our great coffee again. This should be great for the country as it can create more jobs (as we really need them). The Philippines and all other countries should include a coffee day in their calendar. Why? Because a lot of people love coffee and this could also create more jobs because of the demand for more people. While there still has no complete list of all the countries who have a coffee holiday, I vote that everyday should be a coffee day for everyone. I guess that's what happening for the millions of people who drink coffee everyday. We have been showing ads lately we've decided to show something lighter today - Blur's Coffee & TV. The words coffee & tv are in the lyrics but the video isn't really about coffee. In fact, it's about a walking and animated milk carton who looks for Graham Coxon (a band member), who has gone missing and is being missed by his family. The milk carton faces a lot of trials throughout his journey which includes a near death(crushed) moment with a garden strimmer. Good thing it caught a break when a motorcyclist gave it a ride going downtown, where he experienced more hazards like being chased and losing a special someone. While asking for Coxon, he meets the love of his dreams who is a strawberry milk carton, which was suddenly crushed to death by a passer-by's foot. He then finds Coxon playing with his band, Blur. The window it was leaning on falls and Coxon picks it up. Coxon then rides the bus and returns home. Before entering to meet his worried family, he drinks from the carton which ends its "life." It was a happy ending though, as Coxon reunites with his family while the carton reunites with the strawberry milk carton as they go to heaven. The Philippines observed a holiday yesterday, August 18, because it was anniversary of assassination of former Senator Benigno "Ninoy" Aquino, Jr. The real date should be August 21 but President Gloria Macapagal-Arroyo, moves some of the holidays that are in the middle of the week to a Monday so as to create a long weekend. On that day, after a three year exile, Ninoy Aquino returned to the Philippines where he was shot in the head as he was being escorted off the plane at the Manila International Airport (later renamed to Ninoy Aquino International Airport). This was what sparked the 1986 EDSA Revolution. Where do we get the mug? Hope everyone had a great long weekend..
Last week I said that we were late in getting the coffee hop card but there's still a chance. Yep! I got it and I bought my first coffee from Coffee Bean & Tea Leaf since they were the first coffee shop I saw and asked if they were still giving out the coffee hop cards at Fort Bonifacio. Since they were very nice I decided to buy coffee from them. How long do you plan to complete the card? I'm planning to complete the 8 stamps in two and a half weeks. I only get to go to that place during weekends maybe I'll drop by even on weeknights. My plan is to get stamps from 8 different coffee shops so as to give equal support (not amount) to all participating coffee places(Starbucks, CBTL, Figaro, Gloria Jeans, Bo's Coffee, Kape Isla, Krispy Kreme, Seattle's Best). Complete yours now and claim your limited edition coffee mugs by National Artist BenCab. Got Balut? Nope! But what we have is this cool Got Balut? Coffee Mug by Pinoy Apparel. Isn't it cool to have one of the best known Filipino food shown in a mug. They did somehow copied the "Got Milk?" campaign but it is still nice and it is to know that this is really Pinoy-inspired or made. 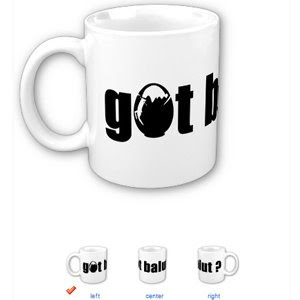 Pinoy Apparel does have lots of other cool mugs that will be featured in this site in the coming weeks of Pinoy Coffee Mug Tuesday but this Got Balut? Coffee Mug is too cool and just deserves a solo feature here in PCT. 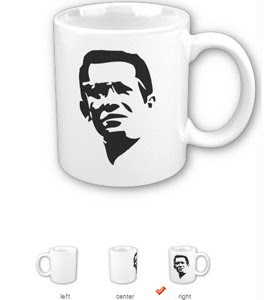 So anyone interested in that cool mug please visit Pinoy Apparel's site and see more of what they have to offer. I'm sure you'll like it and might want to purchase one right away. Hope you liked this week's mug..Getting a little hungry here and might want to have some Balut(for those who haven't tasted or seen one). But regard to taking it together with coffee, I will have to pass on that. Each has to be enjoyed separately don't you agree? We missed the free coffee at Bonifacio Global City during the weekend but no worries since we could still get something - a limited edition coffee mug by our National Arist, Bencab. You just have to complete the Coffee Hop Card, which will be distributed starting August 9 (yep, we're late but there's still a chance). So from August 9 until September 30 just visit the participating coffee shops and complete the card and once oompleted can get you that coffee mug. Participating coffee shops at Bonifacio High Street include Bo’s Coffee, Coffee Bean & Tea Leaf, Figaro, Kape Isla (Serendra), Krispy Kreme, Seattle’s Best Coffee, and Starbucks. You may also go to Gloria Jeans and Starbucks at Bonifacio Stopover. So what are you waiting for go drink coffee and get that coffee mug. Once PCT gets it, it will be up in Pinoy Coffee Mug Tuesday. My apologies for not being able to upload the video at once for this week's Pinoy Coffee Tickle Thursday. But I promise you this week's video is a great one and something that would really make you smile. It's a commercial by Nescafe 3-in-1 Coffee(again!) entitled "Freshman" which was aired during the start of school (June '08) here in the Philippines. This coffee ad shows a freshman during his first day of school and seeing different people, portrayed as aliens, in the cafeteria. Being a freshman, you don't know what lies ahead of you especially during your first day and it's just great how people of different culture or worlds (for this ad) welcome you and share something common with you and that is of course love for coffee. That's why in this ad it's "1 Different World, 1 Familiar Mix, 1 Instant Connection"
That's just a great commercial with lots of meaning attached to drinking coffee. A lot of things really do happen over coffee and if we could extend a hand or let strangers feel welcome over a cup of coffee then that would really be a Pinoy Coffee Tickle Moment. Using the words of Nescafe...One Moment..One Pinoy Coffee Tickle..One Pinoy..
Tickle Away to a Great Day everyone! "MULTIPLY PILIPINAS is a site created for all FILIPINO POP-CULTURE ARTISTS. It aims to put together a community of CREATIVE PINOY SOULS who believe in the importance of arts and culture in our lives and the role it plays in shaping society. Ang MULTIPLY PILIPINAS ay isang website na ginawa para sa mga “FILIPINO POP-CULTURE ARTIST”. Ang layunin nito ay magtayo ng isang komunidad ng mga “Creative Pinoy Souls” na naniniwala sa kahalagahan ng sining at kultura sa ating buhay at ang malaking bahagi nito sa paghubog ng lipunan. This site will be an avenue for artists across all forms of art to share their work and express themselves freely. Ang site na ito ay isang lugar kung saan ang mga tagapagtaguyod ng sining (artist) sa ibat ibang pamamaraan ay maaring makibahagi ng kanilang mga likha at malayang ihayag ang kanilang mga damdamin. Through creative expression and the sharing of ideas, MULTIPLY PILIPINAS aims to unite Filipino artist around the globe. Sa pamamaraang ito, ang MULTIPLY PILIPINAS ay may layuning ipagbuklod ang mga tagapagtaguyod ng sining sa ibat ibang bahagi ng mundo. If you’re an artist, Pinoy and proud… WELCOME HOME KABAYAN! Kung ikaw ay tagapagtaguyod ng sining, taas noong pinoy… MALIGAYANG PAGDATING KABAYAN!" Hope you do visit their multiply site and try ordering their mugs. I just wonder if they have stopped accepting orders for the coffee mugs since the last activity in their message boards was back in April. I'll try to confirm this so we could all enjoy their coffee mugs with great coffee and at the same time support Pinoy designers/artists. Did you know that in the last ten years, the Philippines has lost about 80,000 hectares of coffee farms? Only about 120,000 hectares of productive coffee land remain, mostly concentrated in the mountains of Batangas, Bukidnon, Benguet, Cavite, Kalinga Apayao, Davao and Claveria. Some parts were even used for marijuana planting over coffee since it was more profitable but because of the Figaro Foundation Corporation, the Philippine Coffee Industry is slowly trying to get back to where it was and where it should be - a top producer of coffee and not just .012% of the world's supply (where we are today). That percentage is really small and the worst part is that the Barako coffee plant is on its way to extinction. The coffee industry is slowly dying but the good thing is that foundations like that of Figaro and the Philippine Coffee Board are doing their best to help the industry get back to its feet. This is just sad for the Philippines since we could still be the number one supplier of coffee beans in the world. If it weren't for the coffee rust that plagued our land some 150 years ago, we could have had control of the 30% Brazil, the number one supplier, has today. Another problem that we have faced in the last 10 years or so is that of coffee farming and the use of technology for it. It hasn't been profitable for coffee farmers because they don't have any control over the prices of coffee. Second is that those lands that were used for farming are now industrialized or commercialized. When this happens, land taxes go up and coffee farmers won't be able to cope with this leading to them selling the land. As for technology, the Philippines is again not up to date and doesn't have the money/support when it comes with the latest machines. Unlike other coffee countries, we are very slow in the production since it is done by hand, which is very labor intensive and inefficient. This is very alarming but let us not worry too much, as I see a lot of people supporting our local coffee industry and I am pretty confident that we could be one of the top suppliers of the second most traded commodity again. Yup, coffee is that big in the world! There are a lot of coffee addicts(like us) in the world today and we, the Philippines, should be supplying them and letting them taste how good our coffee is. Let everyone enjoy our coffee...taste of the Philippines..taste of home(for those OFW or who have migrated to other countries). As I said, I am pretty confident that we could pull this through but they alone, can't do it. We should do our part! Learn how you can help save the barako, go to Savethebarako.org Let us all do our part in helping our coffee industry be the number one supplier for coffee in the world. (As a coffee lover, of course I wouldn't tell you to stop drinking international coffee or purchasing international coffee beans but try making it a habit to include Philippine Coffee in your coffee "diet.") Tickle Away to a Great Day! The person who drops the most EC in two months (Marathon) or one month (Sprint)will win. You just have to be in the top 10 in two months if you want to qualify for the Marathon. Let’s say during the first month Blog A drops 25 EC while Blog B drops 23 EC then during the second month Blog A still drops 25 EC but Blog B drops 30 EC. Blog B wins the 2 month Marathon and wins the prize for the Sprint during the second month. Blog A, however, wins the Sprint for the first month since he dropped the most EC during that month. Drop as often as you can for two months and just follow the rules. The top 10 droppers for the two months will get a prize. Drop as often as you can and also follow the rules :) The top 10 droppers for the month will get a prize. 2. Write about my contest/blog on your site then comment on this article to let me know that you’ve written an article already. 4. Drop as often as you can. 5. Be Part of the Top 10 Droppers for both months. 6. That’s it! Wait at the end of August for the monthly prizes and wait for the September for the Main Prizes. 1st Place (Top Dropper) = 2500 EC and a free advertisement on Pinoy Coffee Tickle for a month. If you are a consistent dropper then who knows since you are entitled to both the Marathon and the Sprint, that means you can win as much as 4500 (1000 each month then 2500 for the Marathon) EC and a free advertisement on Pinoy Coffee Tickle for a month. Oh yeah, double that if you want if you join both Coffee Tickle and Pinoy Coffee Tickle. Not bad..so join now! A total of Credits to be given away!!! *In case of a tie the total number of EC (prizes) for the spots that they are going to get will be split. Let’s say Blog A and Blog B ties for first place then the 1st place prize (1000) and 2nd place prize (750) will be split so each will be getting 875 EC. *Coffee Tickle and Pinoy Coffee Tickle will run different contests but with same rules. You may join both (just follow the rules)through their respective sites. Goodluck to everyone! It has been a great first month for Pinoy Coffee Tickle because of an increasing traffic and a great crowd. A big part of this traffic is because of Entrecard which has helped spread PCT. With this, I'd like to thank some of the top Coffee Ticklers/EC droppers for the month of July. Well, the list was supposed to be 10 but the other one is my other site which is Coffee Tickle.I really appreciate you dropping EC and visiting my site. Let's see if the droppers on the list stay the same for the next month. Hmm...I'm thinking of starting a contest to give away EC credits.